Blended Learning for Lao Minnesotans? Recently, the San Francisco-based Silicon Schools Fund, announced a $25 million fund to create blended-learning schools in the Bay Area. 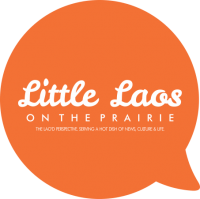 Could such a program benefit Lao in Minnesota? For the next half-decade, the goal in the Bay Area will be to establish up to twenty-five schools combining “high-quality instruction with cutting-edge technology.” This will provide each student with a personalized learning experience. Would it be similar to what is being proposed by Minnesota-based Naiku? In San Francisco, school districts and nonprofit organizations interested in starting or redesigning schools with innovative blended-learning models are eligible to apply for grants, which would average about $700,000 per school and be awarded on a rolling basis. SSF “aims to draw on the financial and creative resources of Silicon Valley to establish a critical mass of blended-learning schools in the region.” Does Minnesota have a similar capacity? According to the press release verbiage “SSF will encourage partnerships between the tech sector and Bay Area educators, while building a network of blended learning schools that can share best practices,” which sounds a little generic, but it’s something interesting that can certainly be built upon. Do we have the capacity in Minnesota to implement a similar vision, and how might we integrate it with other educational efforts, such as service-learning? Given some of the barriers Lao have faced in education, could our students benefit more from this blended learning approach or do we risk our youth becoming third class citizens lacking computer literacy AND academic opportunities? How do we realize the dream of digital opportunities rather than the digital divide?